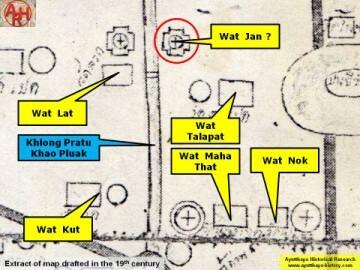 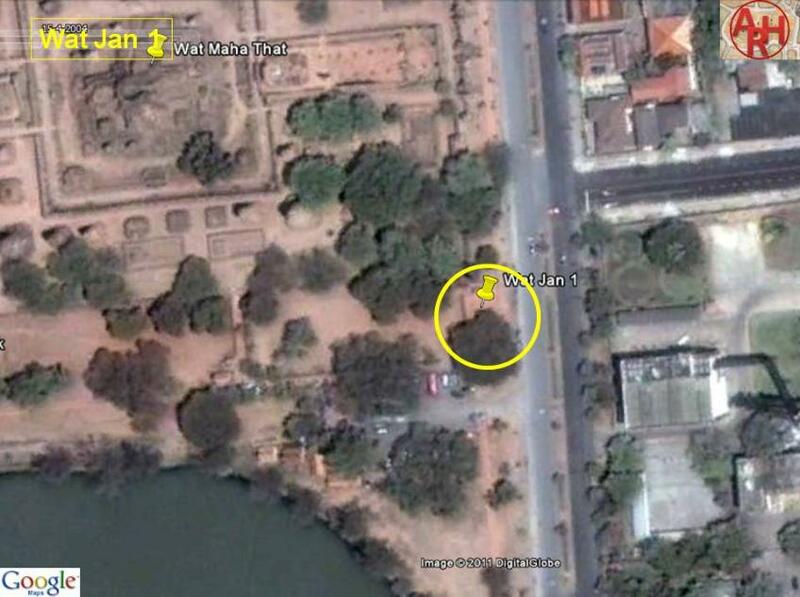 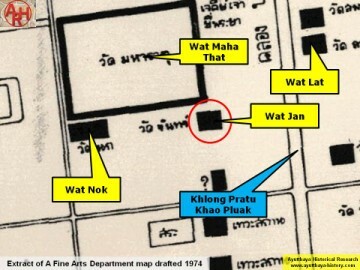 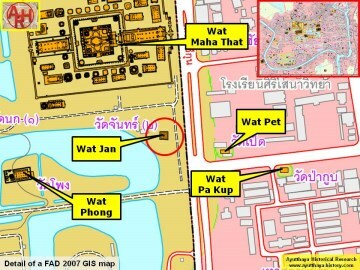 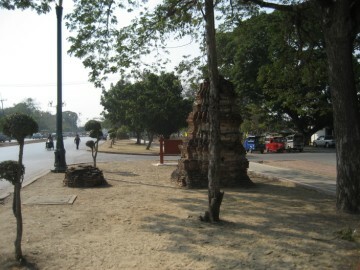 Maha That and east of Wat Nok on the edge of the Historical Park. 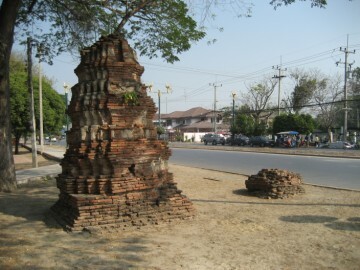 Rd and only a restored brick base of a small chedi stands as a last witness of the past. 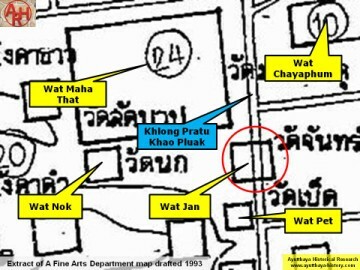 The site is located in Geo Coord: 14° 21' 22.72" N, 100° 34' 6.57" E.
brickwork, been restored by the Fine Arts Department - 3th Region.